As one of the few regatta surviving on the calendar after an unfortunate spell of bad weather, Cork was essential for gathering experience and cementing crews for the Championships in a few short weeks. It was also an opportunity for a trial run of our eagerly anticipated new Empacher 8+, the fruit of hard work by our senior committee, consistent results of the previous season and generous funding by UCD Sport and our alumni. After coming out of a hard training block and racing over the previous couple weeks Cork Regatta was going to be tough. 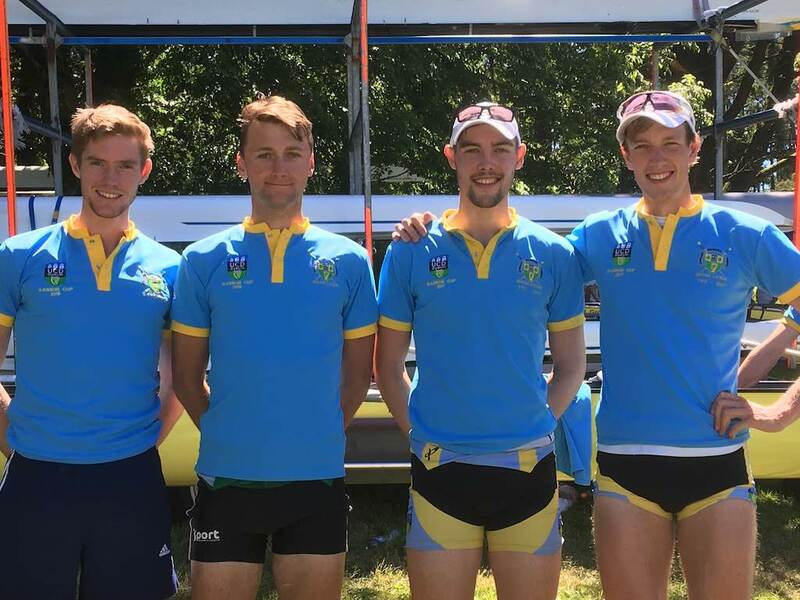 Saturday saw two UCD entries in Mens Division 1 2- along with Lightweight Coman O’Connell in Mens Division 1 1x enter trials for this year’s Home International Regatta. A gutsy performance in time trial and final qualified both the 2- of Cameron Murphy and Niall Herlihy and the 1x for the 2018 Irish squad. A third UCD 2-, the formidable pairing of David O’Malley and Shane Mulvaney put in a massive performance in Senior 2-, winning convincingly against stiff competition which included the reigning Lightweight 2- World Champions. The afternoon Mens Division 1 4+ saw a powerful race in the time trial and final for the 2nd Intermediate 4+, resulting in a 2nd place finish out of 37 entries to a strong young Cork Boat Club crew on their home turf. 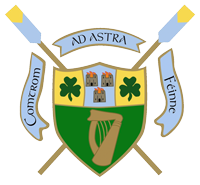 Sunday consisted of UCD entries in the Mens Division 1 4- (Senior), Mens Division 1 8+ (Intermediate, Club 1) and Mens Division 2 4+ (Club 2). 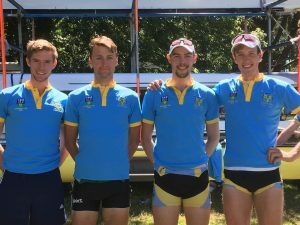 UCD’s top Senior 4- had an excellent race in their straight final, finishing nearly 2 lengths clear of Commercial with the 2nd UCD crew in 4th. The Club 2 4+ had a blistering first 1000m in their final but were unfortunately rowed through by a strong UCC crew before the line and took home a respectable 2nd place. UCD had one 8+ in each of the A and B finals after the timetrials, among the competitors for their category. Despite the tired legs and sore bodies, the Club 8+ had a superb final in their usual quick out the blocks style, beating various Intermediate crews to win the B final, taking home the Club 1 8+ category. The Intermediate 8+ also put in a decent race but unfortunately got rowed through on the line by Commercial. A disappointing result but a valuable lesson for a growing crew which had recently had a shift in line up to bow stroked rigging. With the Club 8+ looking very exciting and Intermediate 8+ more motivated then ever to squeeze another few seconds out of the crew, we look forward to the final preparations before Championships – heads down and no excuses from here on out. Full results on Rowing Ireland.